The geographic regions of most concern to China consist of its core Han territories between the Yellow and Yangtze rivers, its tributary states such as the Muslim Republics in the West, and the littorals and oceanic avenues of approach to Chinese territory. Hereafter they will simply be referred to as key territories. For much of Chinese history these territories have been the route of invaders ranging from Mongolian invaders from the North West in the 13th century to the wokou (literally translated as dwarf pirates) along the South Eastern coast in the 16th. Chinese diplomacy was also predicated on their being the center of diplomacy, after all, they are the Middle Kingdom, with many tributaries and neighboring nations acting as figurative sons or brothers to their Chinese father. For example, Hideyoshi’s 1592 invasion of Korea was explicitly announced as a prelude to assaulting China and changing the East Asian world order. My forthcoming book, Decisive Battles in Chinese History, describes what happened to China when those key regions were penetrated starting with the Opium War (1839-1842). British warships with shallow drafts often bypassed key positions and easily out fought the apathetic ethnic Han troops who did not wish to fight on the behalf of the foreign rulers of the Manchu Dynasty. The resulting treaty overturned the nature of Chinese diplomacy, forcibly opened many Chinese cities and penetrated on of their key geographic areas. Chinese victories for the next half century after the Opium War showed evidence of their adaptability, inherent strength, and desire to defend their territories. Chinese armies armed with Western-style rifles and diplomatic tactics recovered and even expanded further into central Asia. They fought a brief war and resolved the conflict with Russia over the pivotal Ili valley and province. They subdued the Taiping rebellion that engulfed most of China during roughly the same period as the American Civil War, and defeated Muslim-led revolts in the remote Southwest of Chinese territory. This period proved that an active and capable leader could still secure and recover territory, as well as make modest improvements in adopting Western arms in the face of resistance from traditionalists and cultural elites. Compared to the collapse of the Song and Ming dynasties (in the 12th and 17th centuries respectively), the Qing government performed well against stronger threats in creating peace and prosperity. It was the second of these two conflicts, the Japanese war in 1894-1895, however, that clearly revealed Chinese weakness and signaled an era of Western (and Japanese) predations. The conduct of China’s army and sea forces were a complete embarrassment for the Qing Dynasty and their Manchu rulers. The Chinese army was sent retreating , core Chinese territory was penetrated, and Beijing was close to falling. Despite having superior numbers, the navy was completely destroyed. Once again, the Northern and Southern Chinese navies failed to assist each other, but even if they had acted in a concerted effort it likely would not have helped. The Japanese fleet completely out maneuvered, outperformed, and annihilated the much larger Chinese fleet. 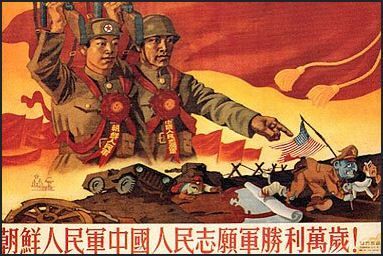 The resulting treaty removed Korea and Taiwan from Chinese orbit and a key tributary and part of traditional China respectively, and subjected China to years of Japanese aggression. Many local Japanese leaders regularly seized territory long considered by Chinese rulers as vital to the defense of the capital and cultural cradle of their civilization. The last of the puppet states in Manchuria would eventually lead to the start of World War II. After the Sino Japanese War of 1894-1895, Germany, Russia, and Great Britain demanded additional trade concessions in ports, the rights to use railroads, and special protections for missionaries. American concessions were smaller, but still consisted of the Open Door policy that allowed American goods to flood China. In short, the Sino Japanese War revealed the impotence of the Manchus in the face of aggression from Japan. Western nations soon competed to see who could take the most advantage of China’s vulnerable state. Geographically, these defeats centered on the three geographic territories listed above: core Chinese territory, traditional tributary states like Vietnam and Korea, and approaches from the sea near the ports seized. Morgan Deane is a military historian, freelance writer, and former marine. He is the author of Decisive Battles in Chinese History as well as Bleached Bones and Wicked Serpents: Ancient Warfare in the Book of Mormon.